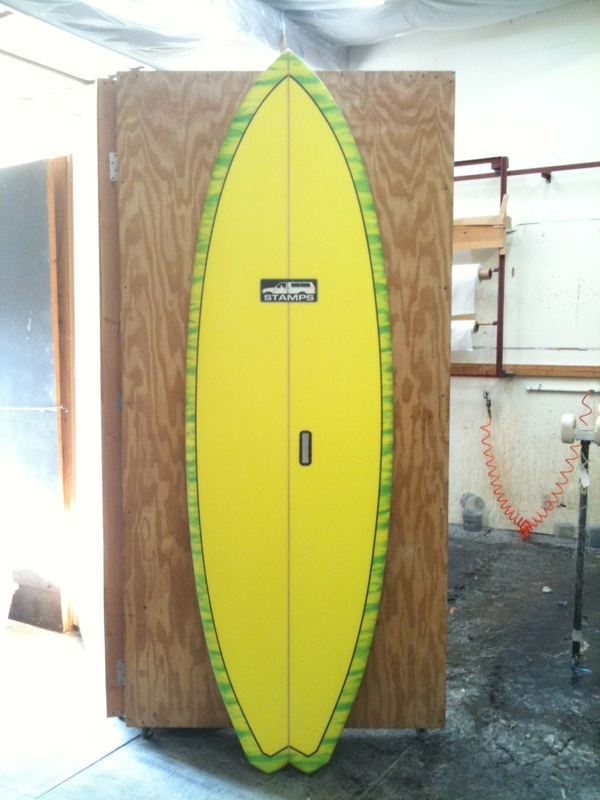 Stand Up Paddle Surfing: New Stamps Custom 8'4: Check the tail on this one... my new freshy! 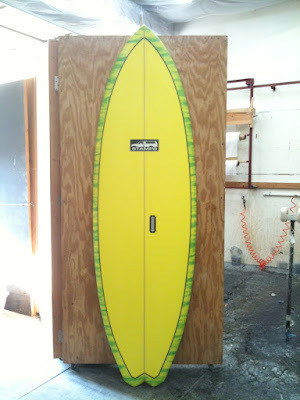 New Stamps Custom 8'4: Check the tail on this one... my new freshy! If you've been following this blog since the beginning (wow- four, five years ago... something like that!) the color scheme I have going on here will bring you back. Get it? It's the same colors as the original 10'6 Mahi Stamps made for me way back when- if you told me I'd be surfing an 8'4" stando as my go-to board I'd say you were smokin' crack... well who's been smoking now? Nice tail, this is what I had in mind for my next board. How wide and thick is your new board? Perhaps I could sneak a ride one day? Nice tail, John this is like I have been saying my next board will be like. How wide and thick is she? Hope I catch you on a good day to test it out. Nice tail maybe 8'2" would fit ya better great looking board and I think you will out grow this board after the first session sub 8 on the way? diggin that tail!?-trippy! 8-4? !-you stud John! cool colors-let me know if you go Sano! Yeah stoked on that one- the tail is the same one Stamps puts on a new shape he's doing with his regular prone boards- called the decibel. This is a little experiment- transposing it over to a stand up but the idea is to reduce surface area in the tail, provide some release with the corners and keep the rail line intact.. at least that's what I think! We'll be surfing Sano this Saturday morning- hope to see you there! Nice new quiver John. Where you surfing this weekend? Love the covert cooler! We'll be there and keep our eyes peeled for your rig. The new ride, is it five fin setup? i think Covert Cooler would make an excellent name for a SUP board!! I think i am in for SANO-CD has a sup surf contest at DOHO? !-i dont even know anything about it yet-if i dont see you guys tear it up for me!! Doho stand-o contest? That sounds fun- we'll be at 'Patch- see you there (unfortunately my new board won't be done...). Good luck to your boy! Is the new stando ready for san-O? Did't make it last weekend, surfed MB and El'porto instead. We're heading to the patch this weekend. No- damn glassers! (standard complaint) we stopped by Patch and it was shitake.... getting my fall break trip figured out right now and it should be a good one.... hoping to score this next big south swell.... i'll be done south... stay posted! Sorry to hear that on all fronts. Good to hear about your future trip. You mean it was Porto-Bello-Escondido, well it is the patch.